In need of some woodwork? Chances are you’ll want to hire a Sheridan, IN carpenter. Carpenters work with all types of wood and can specialize in many different areas, including framing, finishing and custom-made furniture. Make sure you choose the right Sheridan carpenter for your job by asking plenty of questions, viewing their past work and reading reviews. 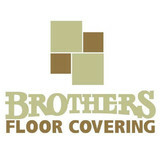 Brothers Floor Covering has proudly served Central Indiana homeowners for over 60 years. 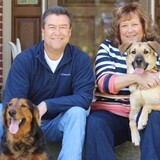 We are a family-owned and operated business with deep roots in the Indianapolis community. The knowledgeable Brothers Floor Covering staff is dedicated to solving your flooring goals with a personal and professional touch. Our well-established track record of providing reliable and professional solutions for your flooring needs is unmatched. Everything custom. If you can dream it we can build it! Pride in craftsmanship is our motto and there is nothing we can't do. Stapert Home Improvements is a small company that has been in business for 16 years. We have on-site owner involvement. We specialize in wooden window repair, deck installation and repair, screen porch installation and repair, interior and exterior carpentry and painting. Our highest goals are excellent quality and customer satisfaction. 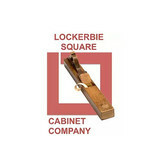 Lockerbie Square Cabinet Company manufactures and sells custom cabinetry required for homebuilders, residential remodels, home entertainment centers, offices and storage options. We excel at designing and producing excellence in innovative cabinetry. I am a carpenter, originally from Idaho, with 30+ years experience. 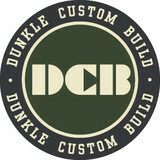 I specialize in framing, remodels, decks, flooring, and finish work. QUALITY work. Third generation craftsman with 30 years experience. Workmanship is detail oriented. Detail-oriented finish carpentry with old-style craftsmanship.